Malaysia, Sabah and on the border with Sarawak. The currently known distribution is based on eight herbarium collections representing four-five localities/ subpopulations. Most collections are by the author of the species, David de Laubenfels. It is possible that further localities will be discovered. Despite this, there is no doubt that the population is limited and fragmented and is likely to become more so with ongoing deforestation in the region. This species occurs in lower to middle montane rainforest on ridges and summits where the forest is not dominated by dipterocarps, in some localities on ultrabasic soil; altitudinal range 310–1530 metres above sea-level based on information on herbarium specimen labels. It is not known whether this relatively rare (and unknown) species is specifically exploited as 'podocarp' timber; the modest size of most trees would indicate that it is not. Where forest is cleared, the more valuable trees will be 'salvaged' and put to uses commonly associated with this timber. The small number of known sub-populations occurring in an area and at least partly in habitat which suffer ongoing deforestation (mainly due to conversion to plantations of oil palms and rubber trees) are inferred to be in continuing decline. No protected areas are known to contain this species. Its AOO is difficult to estimate because trees occur scattered and there may be locations not yet known where it also occurs. Taking this into account using a wider grid cell per location still results in an AOO under the threshold for Endangered (500km²) and so this species meets the criteria under B2 for that category of threat. Only known from four disjunct localities, none of these is in a protected area. 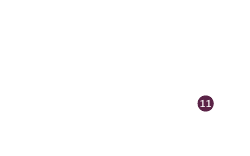 The area of occupancy (AOO) is calculated to be less than 500 km² based on these four localities and the fact that it is known from only a few herbarium collections, indicating that it is rare. Its altitudinal range places it in lower to middle montane rainforest, which is known to be in decline. 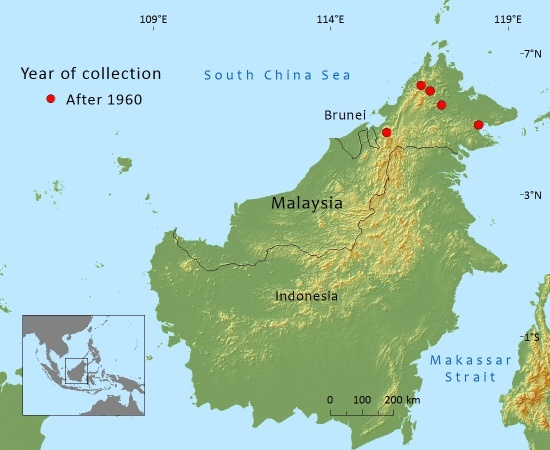 None of the presently known collections originates from protected areas. Further field surveys are required to locate additional subpopulations and to determine suitability of known locations for protected area status. Farjon, A., Bachman, S., Gardner, M.F., Luscombe, D., Reynolds, C. & Thomas, P. (2006). Conservation Assessments of Data Deficient (DD) Conifers Using Herbarium and Geographical Information System (GIS) data. RBG Kew, Bedgebury Pinetum, RBGE, Edinburgh. A.Farjon, 2015. Podocarpus globulus, from the website, Threatened Conifers of The World (http://threatenedconifers.rbge.org.uk/taxa/details/962).